I will be the first one to admit that in the past, I wouldn’t give baseball fiction books a second thought. They did not appeal to my nature as a baseball reader. I felt they would be someone else’s thoughts of what events transpired in history. Then I thought I should probably give the fiction genre a chance, because one of the reasons I started this blog was to expand my own horizons. I have been introduced to three current fiction books that fans of this arena should really stop and take a look at. 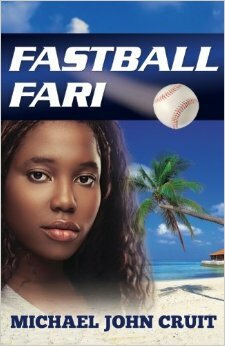 Fastball Fari tells the story of Fari Madrigal. A 22-year old fictional character from the Dominican Republic, that has been blessed with incredible pitching skills. She is discovered by the Minnesota Twins and embarks on a baseball career. Due to medical issues, Fari has struggles with the fame that comes along with being a major league star. It also intertwines story lines of a coach falling in love with her, and her struggle with ownership to get her due financially. It shows the possibilities of problems that may exist with a woman breaking the gender line in baseball, but does show that women can do anything as well as men can. This books release also coincided with the Mo’ne Davis media explosion in 2014, so it has a nice, although inadvertent tie in with those events. Heroes In Hard Times would be considered historical fiction. It shows the depression era and two of its biggest stars, Dizzy Dean and Satchel Paige. It looks at the similarities between the two pitchers who were at the time were in segregated leagues and what might have been if they faced each other. It takes a hard look of what could have happened if the best of their era faced each other and the social ramifications that would have followed. That aspect of the book really makes you stop and ask what if. It also mixes in some stories about the depression era and brings to life people who made our country great. In the end it gives you a great feel of what the depression era really was like. After reading this book you will be asking yourself the question, what events may or may not have happened that we now know as our history, if this story were true. Baseball and history fans will enjoy this one, because it is not overpowering in either subject and provides a nice balance that tells the story effectively. 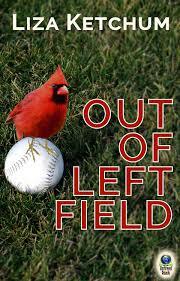 Out Of Left Field is fiction with an underlying baseball theme. The story follows a boy named Brandon McGinnis whose strong bond with his father, is centered around Boston Red Sox. Brandon’s father is killed in a car accident, and due to his death all sorts of family secretes emerge. It is a telling story that shows a young man’s inner strength in dealing with issues that arise in his life. Family drama’s, wars and secrets are all covered in this book and show how difficult life can really be. It also shows how baseball can be a bond that is hard to break even after the death of a loved one. This book actually is heavily centered outside of baseball but still should interest baseball fans because of the Red Sox tie-in and it still being a compelling story. As baseball fans we don’t always need detailed historical accuracy, the retelling of events or even a juicy tell all autobiography. In a game ruled by numbers the fiction market allows the hard-core baseball readers the chance to step away from details and statistics and get lost in an enjoyable story. It can allow readers a chance to stop and smell the grass in a different way, while still keeping us on the baseball field. You can pick up any of these books from Amazon. Summertime Dreams – Yes, Girls Can Play Baseball! The movie A League of Their Own tought baseball fans lots of things. We learned there is no crying in baseball, Jimmy Dugan also warned us to avoid the clap, but most importantly it introduced to a whole new generation of fans the fact that girls can play baseball. It opened up a whole new arena to baseball fans, new teams, new stories and new history. There are so many stories out there to be told I am honestly surprised there have not been more books like this one. Dolly “The Gopher” Niemiec grew up in a generation where only boys and men played baseball. It was a mans sport and at the time no one really though about girls playing baseball. Until one day a life changing event happened. Dolly’s father found an ad for local tryouts for the All-American Girls Professional Baseball League. That tryout changed her life and occupied her time as a member of the league from 1948-52. Unfortunately her career was cut short due to an auto accident in 1952. Doug Williams has helped Dolly compile her memoirs in this little gem. 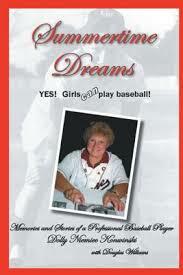 It takes a nostalgic look back at her career in the AAGPBL but her story doesn’t end there. Dolly and Doug also take you on the journey of life after baseball which includes careers as a professional Bowler, professional Umpire, as well as helping build aircraft for the military. It really is an extraordinary story and an enjoyable read. Dolly’s story is truly inspiring and shows that women can do anything that men can. In my life, I may already view things that way, but there are probably still some people who feel that women are inferior to men. Those people need to read this book and see how it really is. Baseball fans should really enjoy getting a glimpse into this period of history and hearing some of those remarkable stories first hand right from the Gopher’s mouth.